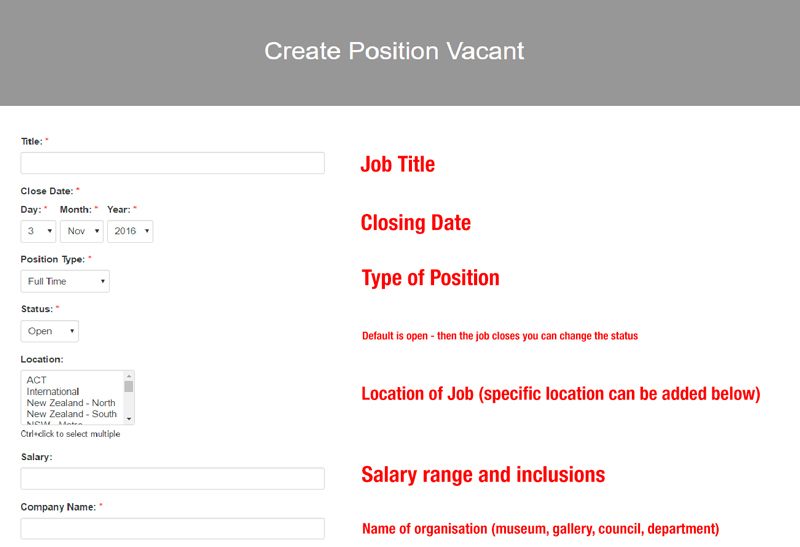 From the Positions Vacant page follow these directions to post a job ad. Fill in all the information requestion. You can upload your logo here too. 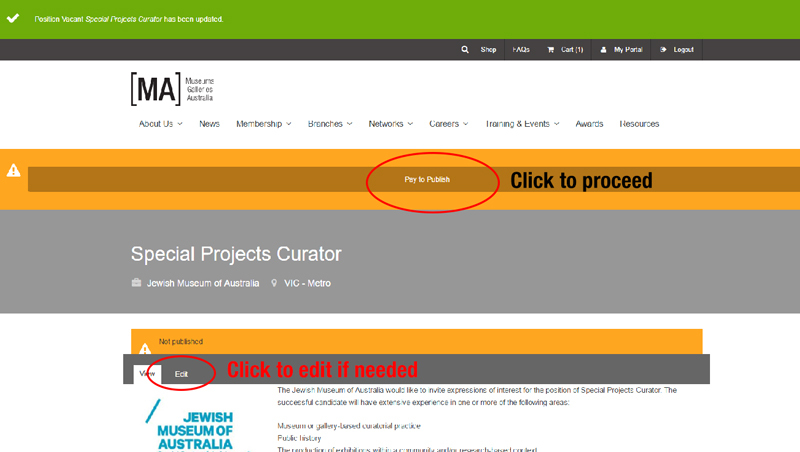 Here you can preview and edit your posting. When you are happy with it click Pay to Publish. 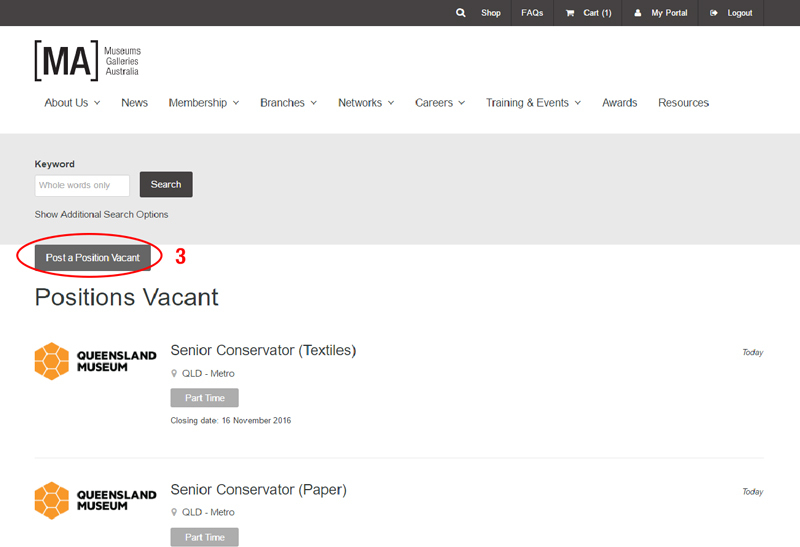 Your job is now in your cart. 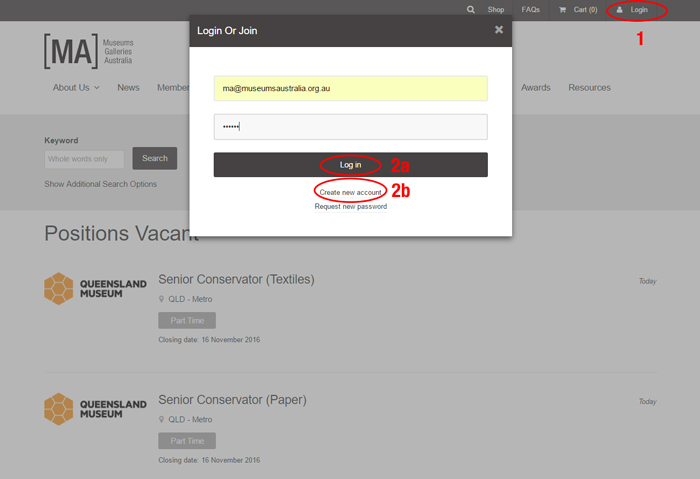 You can repeat these steps to post additional jobs, or go to Checkout to finalise. 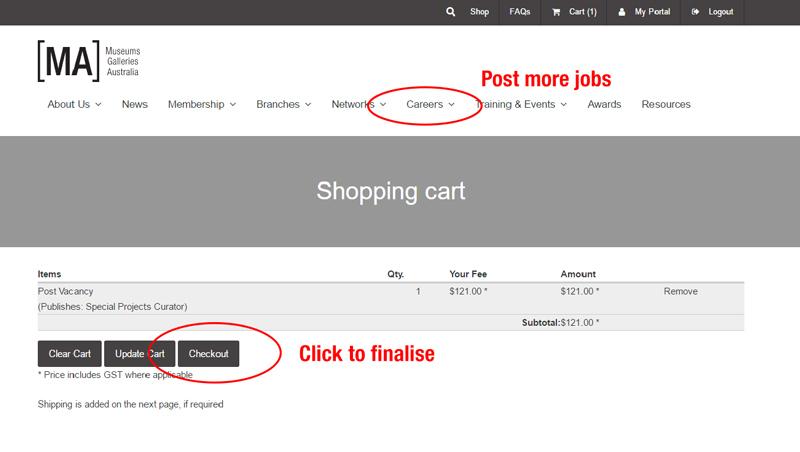 Pay on invoice will create and email an invoice for post-payment. Credit Card will allow you to pay upfront. Ensure all of your details are correct. These will appear on your invoice. Then click Next to continue. 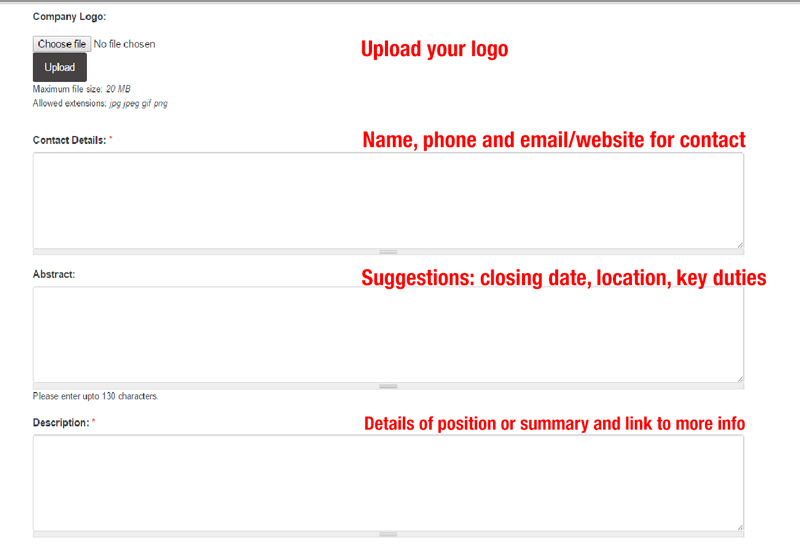 This is your final chance to change your ad or other details. 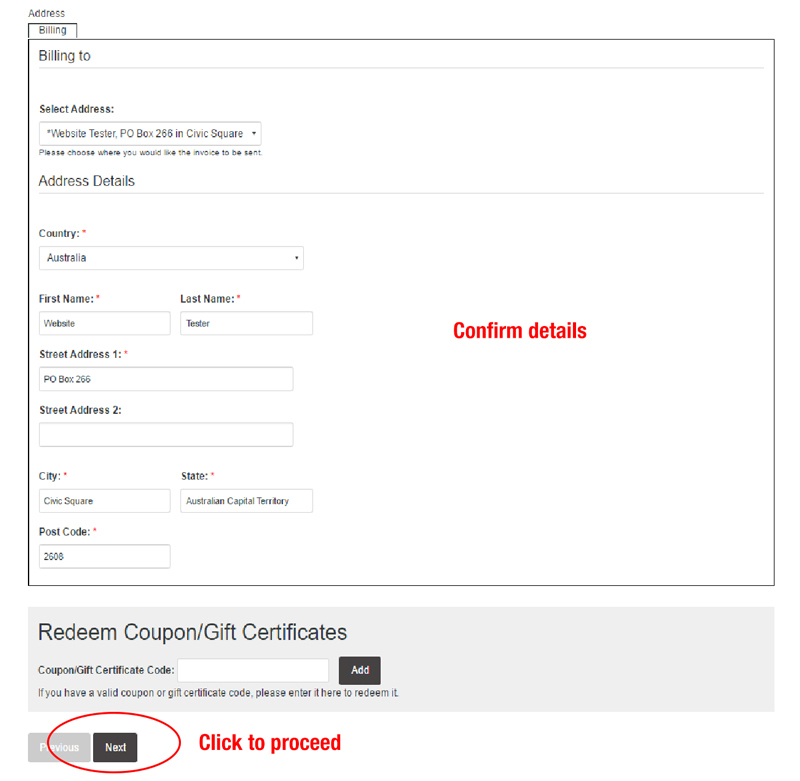 Check the information and then Place Order.